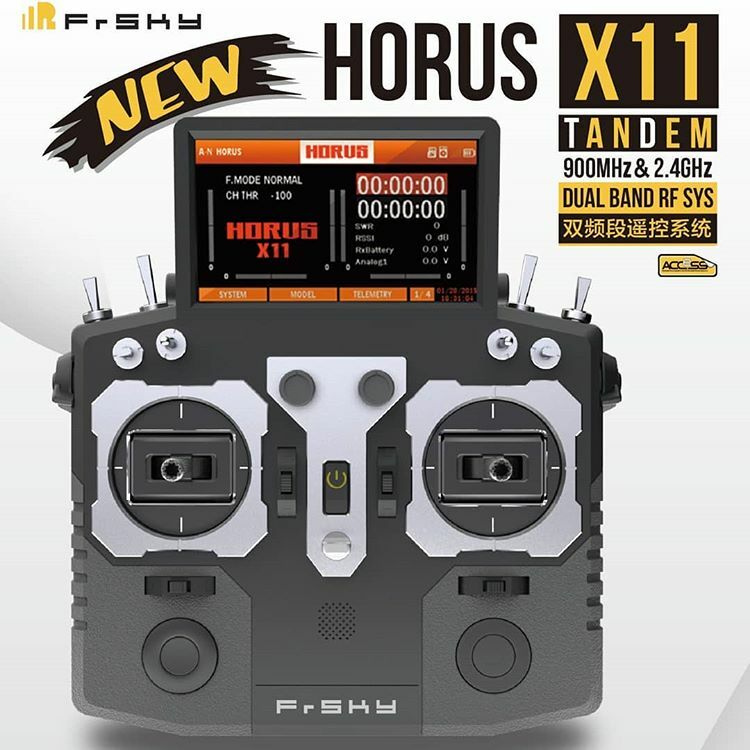 FrSky has posted a computer rendered image of the forthcoming radio – Horus X11. There are several reasons for this radio to be released released: The newly developed dual frequency band Tandem system needs a new transmitter. The current Frsky transmitters are just not designed to accomodate two modules for different frequencies. Another reason for this radio is increasing competition in the market. Jumper T16, the copied transmiter with the design “inspired” by Futaba and the circuitry similar to the Horus X10 was just released with the very competitive price. Frsky should aim at the market with the price ranging between the Taranis Q X7S and Horus X10.